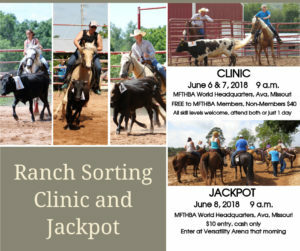 Since the first clinic hosted at the Celebration in 2016, the interest and participation in ranch sorting at MFTHBA sponsored shows has continued to increase. Building on this interest, ranch sorting will return to the 2018 Spring Show and Three Year Old Futurity. Cornerstone Productions will continue to manage the ranch sorting program. Their expertise and promotion has been critical to the success of the program. Both clinics are free for MFTHBA members thanks to the support of Pam Harrell; Craig and Jayme Conklin; and the MFTHBA Membership Committee. Non-members may participate for $40. The non-member fee includes an MFTHBA membership. Riders may choose to attend one or both days. On Friday, June 8, a ranch sorting jackpot will be held. All horses participating in the jackpot must be registered Missouri Fox Trotting Horses. 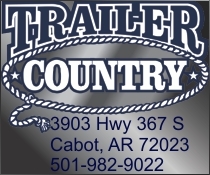 Entries will be taken at Versatility Arena on Friday morning starting at 7:30 a.m. Entries will close promptly at 8:45 a.m. Participants should be prepared to pay their entry fee in cash. No checks will be accepted. The ranch sorting jackpot will start promptly at 9 a.m. 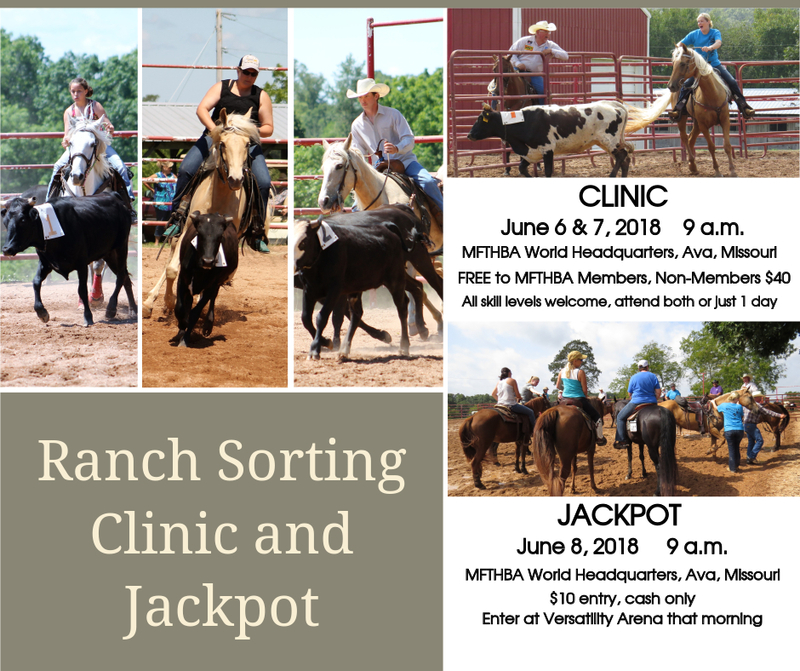 The ranch sorting jackpot at the Spring Show and Three Year Old Futurity will serve as a great practice run in preparation for the ranch sorting jackpot this fall. It was recently announced that this fall the first MFTHBA Ranch Sorting World Champion titles will be award this September at the 60th World Show and Celebration. Note: ALL horses entering the show grounds MUST have a current negative Coggins (EIA) test AND a Certificate of Veterinary Inspections within 30 days regardless of the state of origin. These papers must be presented at the show grounds gate. Each horse will be charged a $10 gate entry fee. Horse fee is a onetime fee for the week. Participants will also be responsible for paying gate admission fee or purchasing a weekly pass. **Free for MFTHBA members, non-members $40 includes membership. Please register with the MFTHBA office. Attend one or both days. **Register at the Versatility Arena day of the event. Rules set by Cornerstone Productions. Horses must be registered Missouri Fox Trotting Horses. Show registration papers as proof. $10 per entry. No Checks. Teams will consist of 2 persons on horseback and must remain horseback for duration of run. Time will start when number is called for cattle and time will stop when nose of last cow crosses start line. 90 seconds to complete run. Cattle cannot break plain of the gate. One qualifying time of 90 seconds or less will go to short go. 50% payback. Will pay one hole for every 5 teams up to 10 holes. Five to Seven head of cattle will be used. Name called for a 3rd time for start will result in disqualification. At no time can any contestant touch or show aggression to livestock with tack, clothing etc. No limit on entries. May enter with one person no more than once. No contestant will be allowed to participate under the influence of drugs or alcohol.